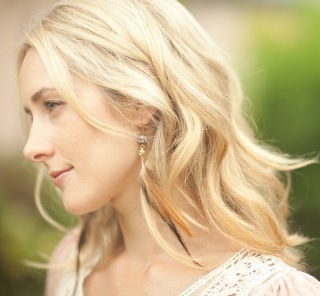 Y'all, I cannot tell you how excited I am to have Jennifer Bosworth on my blog today. 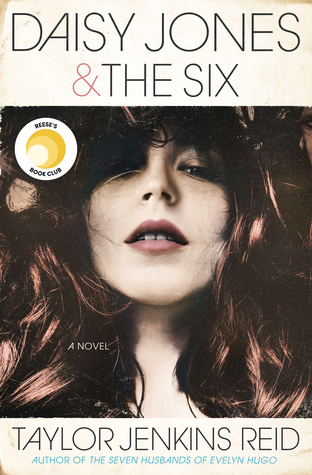 Her highly anticipated debut novel, STRUCK, comes out May 8th 2012. Till then, lets learn a little more about her and her fabulous book. 1. In 140 characters (aka Twitter length), how would you describe Struck to someone who hasn't heard of it? 2. I'm sure you get this a lot, but how did you come up with the idea for Struck? I like to ground everything I write in reality, and there are so many bizarre true stories about what happens to people when they’re struck by lightning. Lightning can wipe out people’s memories. It can pick them up and move them. It can leave strange, red markings that actually look like lightning on your body. There was even a woman who had multiple sclerosis who was struck by lightning and cured completely. And then there are the human lightning rods, people who attract lightning again and again. The man who held the record for the most lightning strikes drove around with a bucket of water in the back of his truck at all times, so he could put himself out if he ended up on fire. So, in the end, the original inspiration for STRUCK was what is really possible, and the possibilities seem endless. 3. Storms and lightning: Love them or hate them? Love. Definitely love. Unfortunately, in Los Angeles, where I live, it hardly ever rains, and lightning only strikes a handful of times every year. But I do love a good storm. If I were ever actually struck by lightning I might change my opinion about that. 4. Love triangles: Love them or hate them? It depends on if they’re done well. On the one hand, they can provide an extra level of tension and conflict. On the other, they’re often contrived from Twilight and The Hunger Games and end up feeling forced. Love triangles are always suspect now, in my humble opinion. 5. Who's your favorite literary couple? My all time favorite is Eddie Dean and Odetta Holmes/Detta Walker/Susanna Dean from Stephen King’s “Dark Tower” series. An ex heroin junkie and a woman with no legs and three personalities fall in love in a dying parallel dimension to earth, where they must become gunslingers. It really doesn’t get more messed up than that. 6. Quick, the world is ending and you need to evacuate. What three things would you take with you? Big knife, big gun, and my vicious miniature pincher. She only weighs 13 lbs, but I’m pretty sure she’d rip someone’s throat out if they tried to hurt me. 7. If you were in a bookstore and saw someone contemplating between Struck and another book, how would you convince them to get Struck? I would say, “It’s like Stephen King’s THE STAND, but in Los Angeles.” No one can resist a King comparison. Yes, I totally agree. No one can resist a Stephen King comparison! :) Jennifer, thank you so much for taking the time to answer a few questions. 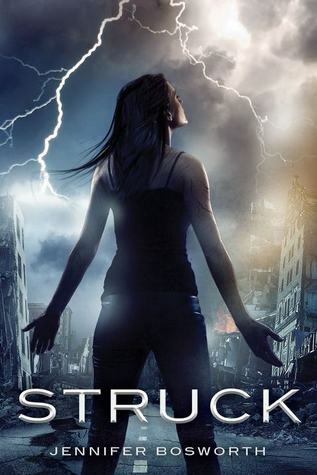 I leave you guys with the cover of STRUCK, the summary and a few links. Be sure to check it out in May! "Mia Price is a lightning addict. She’s survived countless strikes, but her craving to connect to the energy in storms endangers her life and the lives of those around her. Los Angeles, where lightning rarely strikes, is one of the few places Mia feels safe from her addiction. But when an earthquake devastates the city, her haven is transformed into a minefield of chaos and danger. The beaches become massive tent cities, populated by millions of homeless. Downtown is a wasteland, where a traveling party moves to a different empty building each night, the attendees drawn to the destruction by a magnetic force they cannot deny. Two warring cults rise to power in the wake of the disaster, and both see Mia as the key to their opposing prophecies. They know she has a connection to the freak electrical storm that caused the quake, and to the worse storm that is yet to come. Mia wants to trust the enigmatic and alluring Jeremy when he promises to protect her, but he’s hiding a more sinister truth. When the final disaster strikes, Mia must unleash the full horror of her strength to save them all." Can't wait for this book to come out! Great interview, she seems like a sweetie!